There are numerous reasons of venturing into the world of sailboat or yacht charter. There is also something unique for everyone from the smaller motor-yachts and sailing yachts to the large super-yachts and ultra luxurious yachts. Sailboats and yacht charters are undoubtedly the best way to explore the world and its wonders. Here are some reasons as to why you should consider embarking on this memorable journey. Have a chat with our Yacht specialist in Gibraltar! Privacy is among the most important aspects in our daily lives and is continually becoming harder to achieve. By chartering a yacht or sailboat, you will be able to escape all the hustle and bustle, while fully enjoying your precious time with your family and friends. You will have delicious meals prepared to perfection by your chef and get to enjoy the tranquility of your environment anchored far from the coastline. Most super-yachts are equipped with crew quarters that are completely separate from and the guest areas thus you are assured even more privacy. On a yacht, you will get to stay at a different location every night without having to repack. You will enjoy new views from a different perspective each day from the spectacular coastlines, islands, mountains, beaches, romantic seaside villages and horizons. All these sites are way more spectacular if viewed from some distance way out into the sea, giving you the best viewing gallery from your yacht or sailboat, without have to contend with other vacationers. During your vacation on a yacht, you will be cared for by a professional crew who will ensure that you have the ultimate and unforgettable experience. Imagine being able to wake up to surrounding of the tranquil waters at sea and the fresh morning summer breeze with a cup of coffee prepared just for you. Throughout your vacation, you will have this kind of liberating feeling. If you choose to spend your vacation on a sailboat or yacht, you will get everything exactly as you want it. Your entire holiday will be designed based on your dreams and desires. Your charter agent assigned to organize your trip will assist you to get the ideal yacht for you and together with the crew, plan a personalized itinerary to visit the destinations of your dreams. While on your vacation on a yacht or sailboat, you will have the chance to learn skills that will be valuable throughout your life. A sailing vacation will allow you to relax. Sailing is very relaxing. You can choose to lie in your hammock, soak in the sun or enjoy every bit if beautiful sunsets. Sailing on a yacht or boat is the ideal opportunity for you to spend some much needed time alone. Leave behind the confusion, stress and noise of the world and experience the joy in the freedom that comes with solitude. Taking a sailing vacation will allow you to enjoy and share the experience with your friends and family regardless of their ages. It will offer the best bonding experience and bring family and friends even closer and may turn total strangers into lifelong friends. While on a sailing vacation, you will have the chance to learn about the entire region from the experts without having to take tours. Each of you is sure to get both physical and mental workout while on the water. You will get to enjoy spending time with the people you love, do anything you want, where and when you want to. A sailing vacation will allow you to avoid the overwhelming holiday crowds while visiting all the most desirable locations. One of the greatest advantages of taking a sailing trip is that you will get to visit multiple destinations in just one trip. With a sailing vacation, you will never have exactly the same experience regardless of the number of times that you have set sail. Every trip will provide an opportunity to explore new places and activities. On a yacht or sailboat, you will have the opportunity to enjoy the secluded destinations like the pacific islands, Antarctica, Scandinavia, Alaska or northern Europe. There is nothing more invigorating than sailing. The process of operating your vessel at sea is a rich and vibrant experience. In addition, being close to nature is undoubtedly one of the most essential ingredients of peace and happiness. You are sure to get a great sense of serenity as you navigate through waves at sea. As your newly acquired sailing continue to improve, your confidence will increase and you will have the chance to explore new destinations where you are bound to meet other people in the sailing community. Sailing is among the few ways through which you can allow your mind to wonder in peace and quiet in the waves and wind at sea. 19. Luxury with attention to detail. Everything on the yacht is designed with luxury and comfort in mind. The members of the crew carefully prepare everything that you will need prior to your arrival thus you are sure to feel at home while on the yacht. The memories that you and your family and friends will make while on a sailing trip are priceless. You will have stories to talk and laugh about for a lifetime. 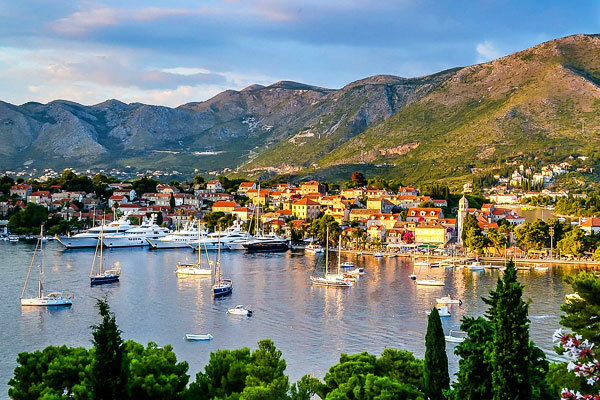 There are numerous charter options in Europe and the Mediterranean for you to choose from, which will ensure that you get the ultimate experience as you sail through Italy, Greece, Spain, Croatia, Turkey and other parts of Europe.